It baffles me how in the same world there can be tanning salons and spray-on tan AND people who carry umbrellas for sunshine and buy lotion to look whiter. Like this lotion, for example, from a brand you may have heard of. 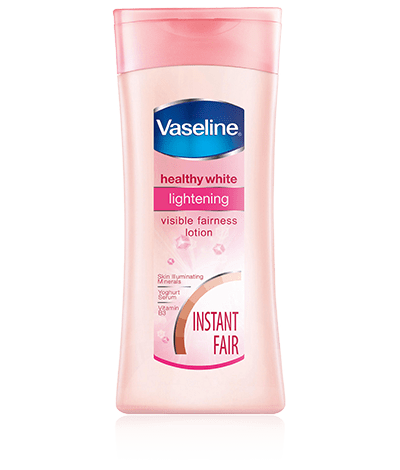 This product is, naturally, not available via the Vaseline website for the US. No, you have to look on the Vaseline site that sells to Indonesia. For me, buying this movie was a bit like buying a German-Spanish dictionary, in that it made me a consumer of the product of two cultures, neither of them mine. Lest you think that’s just an analogy, I hereby present my German-Spanish dictionary. Chandni Chowk to China is a Hindi musical martial arts comedy. His life changes when two Chinese guys somehow decide he’s a Chinese hero reincarnated and a Chinese fortune-teller friend convinces him to go to China. It’s wacky but kinda fun. See below for more about the movie, including SPOILERS. Okay, so I watched this AFTER I watched The Cannonball Run, which isn’t fair. This is the original coast-to-coast comedy road-race movie. What was different about this first race was that it was more secret and people were eliminated more definitively. The premise of this awkward sequel to The Cannonball Run is that the father of the rich Arab who lost the Cannonball Run wanted his son to win, so he encourages his son to fund another race, putting up a prize of 1 million (which he expects the son to win back). Both father and son wish to bring glory to their family name, which is Falafel (groan). The way the Japanese team join the race is pretty awesome. Because the team wanted to avoid a two-day customs quarantine of the computerized car, the car is released from the back of a plane that lands on a road near the airport, deploying and then releasing a parachute to slow it down. The driver ignites the car’s rocket, plunges the car into a lake, and calmly drives the car like a submarine. “The most distinguished group of highway scofflaws and degenerates ever gathered together in one place” meet at a bar in Connecticut to kick off an illegal cross-country road race. They then proceed in their various vehicles, overcoming various difficulties, to traverse the continent. Jackie Chan plays a Japanese character, apparently because someone thought all East Asians look the same. They must also have thought that all East Asian languages sound the same, because Jackie mostly speaks Cantonese in the movie. As fun as Death Race, for all the same reasons. Yay, poetic justice! Plus, since this is a prequel, we get to find out more about some of the characters from Death Race, like how Lists got his nickname, and how Death Race got started in the first place: it was better than what the prison was broadcasting before, which was a man-to-man fight called Death Match.